Dads aren’t always the easiest to shop for, but add aging to the mix, and Father’s Day can be a head-scratcher. What do you get the dad who has everything? Make Dad feel appreciated with items that provide safety and comfort ... for the man who dedicated his life to giving us those very same things. Seniors with hearing loss feel isolated when excluded from conversations. If you suspect dad is experiencing hearing loss, have it checked out by his doctor and open up the lines of communication with hearing aids. These can help him "get back into life." Did you know there are small computerized units that not only monitor blood pressure but also help keep hypertension in check? Products like RESPeRATE provide non-drug therapy in addition to the healthy habits needed to keep blood pressure under control, such as a healthy diet, exercise and medication. A personal Emergency Alert & Response System, or EARS™, can make dad’s life easier while giving you peace of mind. This personal medical alarm uses a wireless pendant so dad can summon help if needed, and it also provides a reminder service for medications and appointments. For comfortable seating while traveling or even just lounging in the yard, give Dad the ultimate portable lounge chair, the Mr. Big Travel Chair. It’s sturdy, wide and comes with lots of goodies: insulated cup holders, magazine holders and a microfleece blanket. For the dad-on-the-go who needs a little support getting out of vehicles, consider a CarCaddie. This portable handle easily buckles into place and can be used in any vehicle. If your dad likes to read while traveling, or even just needs a little extra light while working at home, consider a clip-on reading light for hands-free convenience. If Dad has a hard time bending and reaching, make it easier to pick up items with a reaching tool. Look for one with nonslip rubber tabs over composite jaws. For dads who’ve had surgery, don’t sleep well or are wheelchair-bound, there are all kinds of cushioning options that can make life more comfortable. Make it easier for Dad to take care of himself with pampering products, such as an all-in-one enriched hair and body shampoo. If Dad is managing incontinence, it’s especially important to follow a good skin care regimen to prevent breakdown and infection. 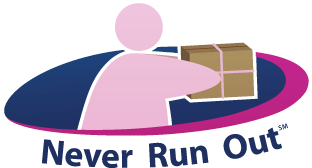 For the dad who uses products on a regular basis, such as those for incontinence, give him the ultimate in convenience: the Never Run OutSM home delivery service. Besides saving time and hassle, he’ll save money every month vs. retail costs. When talking with older people, it is advisable to use a low tone voice. This will allow them to hear the sound clearly. Hearing aids help a lot. This hearing aids resolve hearing loss.